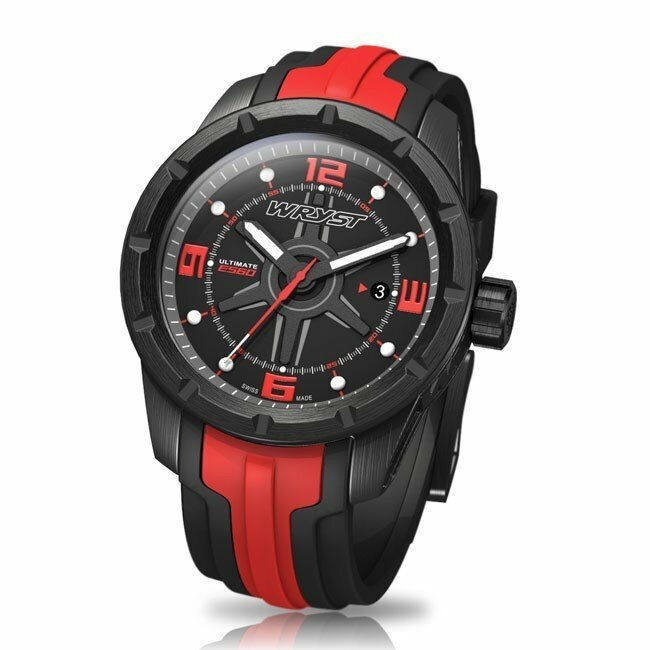 The Black Swiss watch Wryst Ultimate ES60 with red details produced in a limited quantity of only 99 units. The world's most scratch-resistant black coating of this watch makes it the most reliable and durable timepiece in black steel. 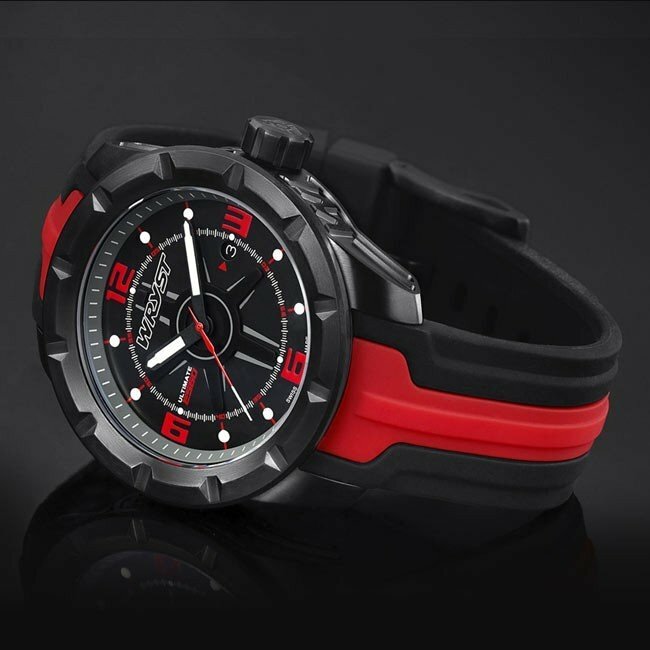 An ideal asset to endure tough environment, outdoors, adventure and water sports. 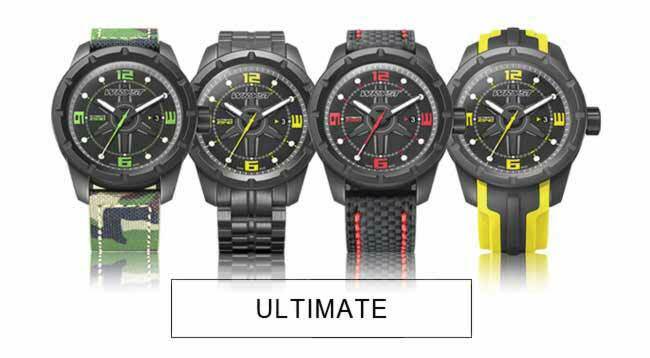 Packed with style and with a spectacular overall design, this exclusive watch is made to endure tough conditions. 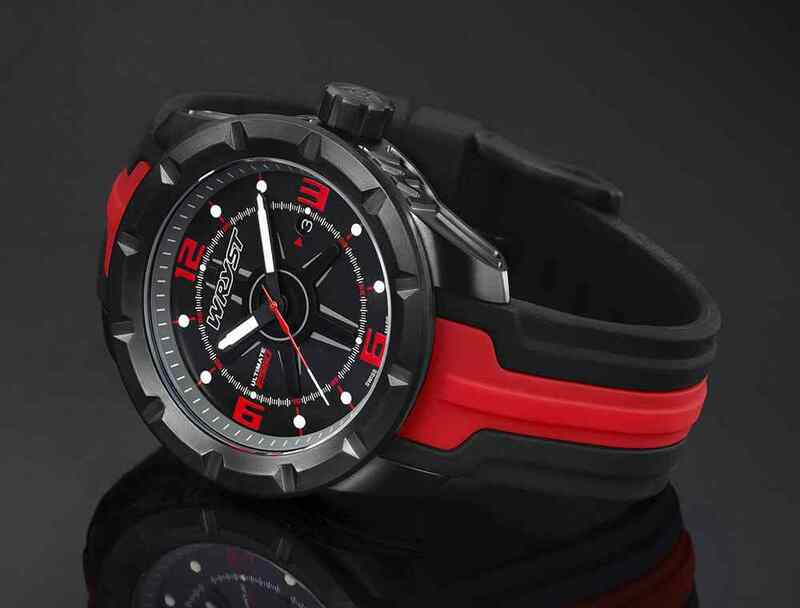 Strongly built in the Swiss traditions and with a sapphire crystal, the ES60 black Swiss watch is the ideal companion for rough usage and hostile environments. Stand out with style, TWO STRAPS INCLUDED! 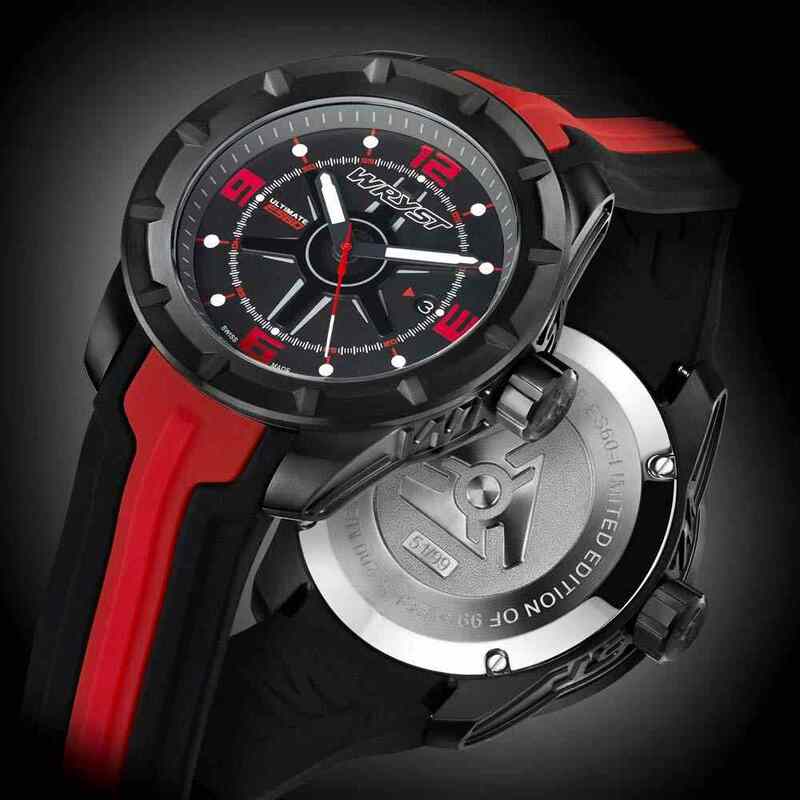 The ULTIMATE ES60 black Swiss watch Wryst is ultra sporty, dynamic and a spectacular testimony of unique watchmaking style. Produced exclusively in Limited Edition series of 99 pieces, the watch case sides are engraved 0.6mm deep with CNC machining which is a significant challenge in itself. 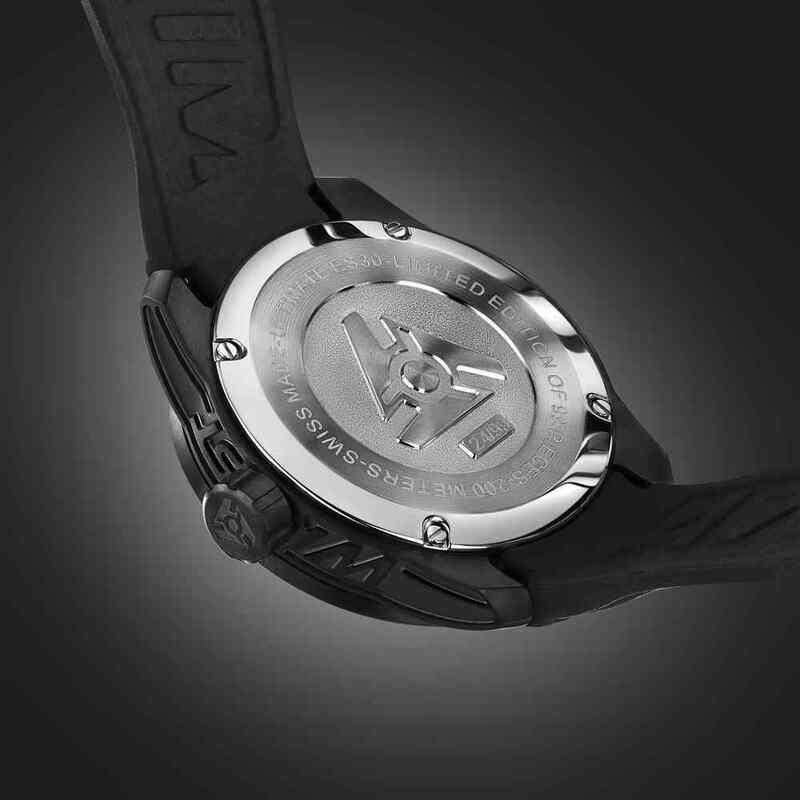 Stainless steel engraved case, screw-down crown, and buckle are coated with scratch-resistant Black DLC (Diamond-Like Carbon) technology which increases considerably the hardness of the watch. 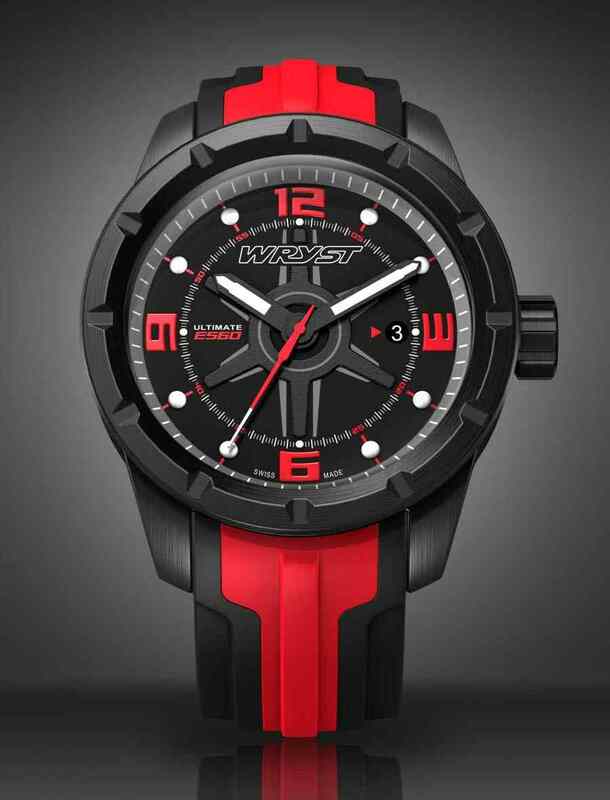 Wryst exceeds in providing durable affordable luxury Swiss watches combining high standards of know-how and craftsmanship. The black Swiss watches Wryst are all unique! 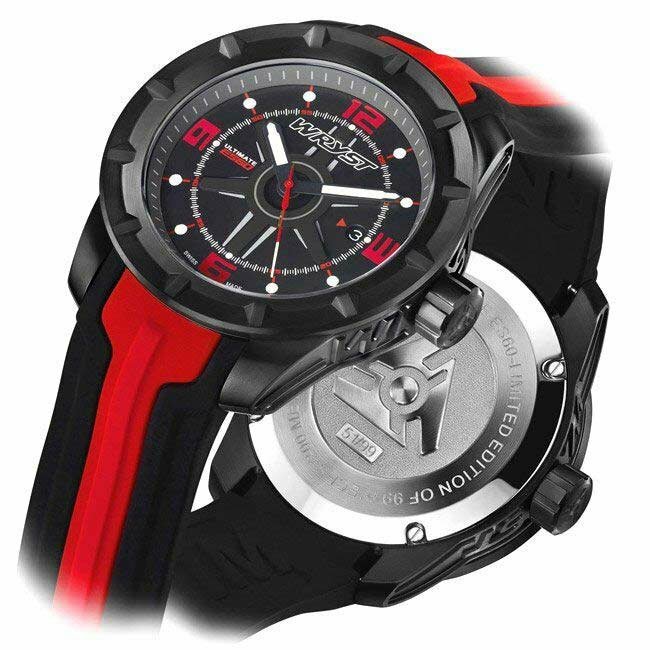 Very beautiful black and red watch! I just wear it everyday and so far not one scratch on the case! One and a half month so far wearing my timepiece everyday and last time I bought a black watch it had marks showing the metal under the coating after 3 days. Nice heavy feel too, but comfortable. I am so glad to have bought this watch. I never thought I could afford to buy a black DLC limited edition Swiss watch,... thank you so much! Excellent finish quality and top size. Customer service is fantastic. Thank you so much for this really cool sport watch. I will buy the all black asap.